I dread days when we have to complete our showpieces... and today is just one of those days. 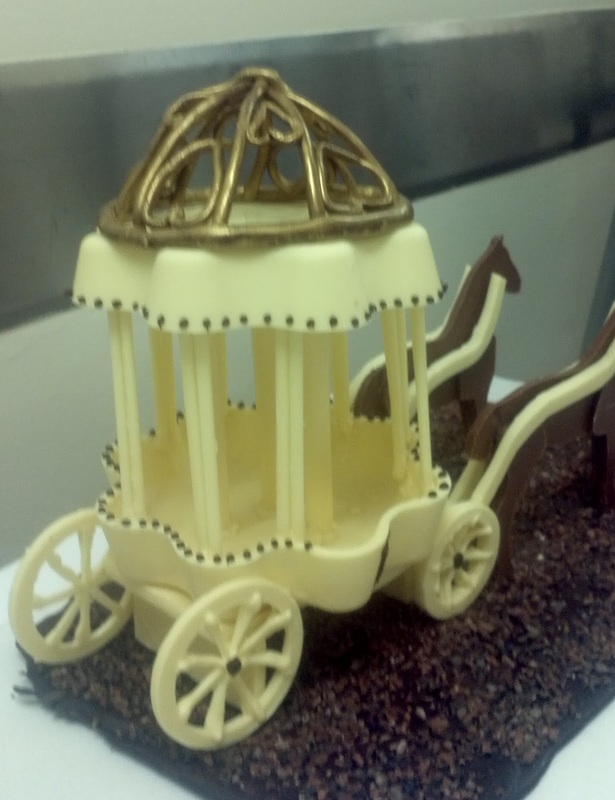 This is my chocolate showpiece (yes, 100% made of chocolate). The theme is "Fairy Tales" and I made Cinderella's Carriage. 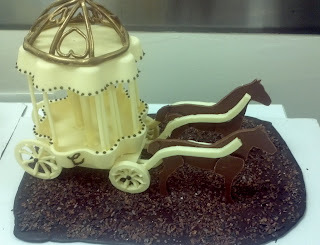 We had 2 days (8 hours) to make our showpiece from scratch, i.e. chocolate pistoles. The showpiece has to be at least 1,000 grams but no more than 1,500 grams - 10 points will be deducted for over/under weight threshhold. Mine came in at 1,001 grams... slightly living on the edge here! Also I finished my piece with just 1 minute to spare. I am so glad that this super intense day is over. 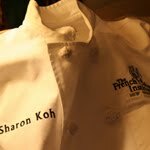 Tomorrow we're going on to plated desserts (again) - I am expecting it to be a weight gaining unit. That's amazing. I like the C for Cinderella.